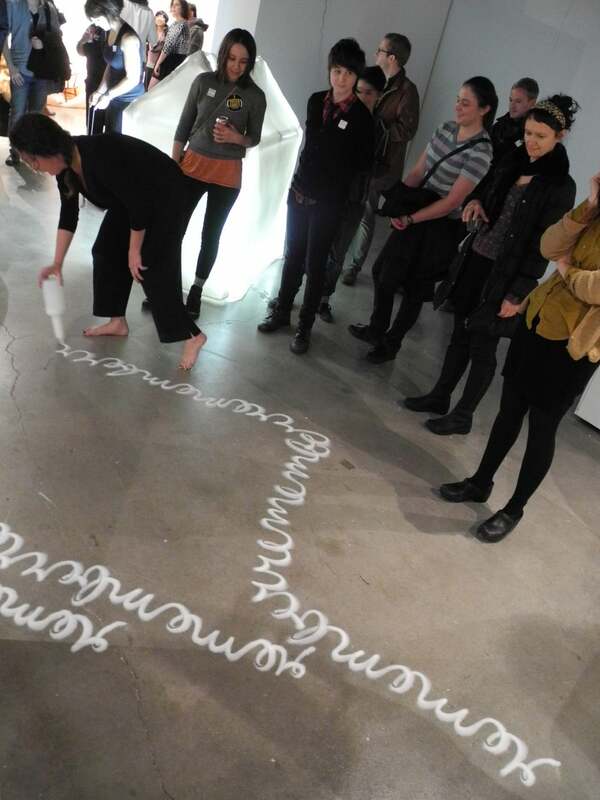 Curing was a performance about loss, danced in an ever-expanding drawing in salty, cursive script. Endless trails of text echoed the word “remember” across the floor, out the door of the gallery, and down the hall. The pristine, white lines became distorted and blurred over time, not unlike memory itself.